You are currently browsing the tag archive for the ‘Lorca’ tag. One of my favorite set of brains and eyes, Sally Reed, has initiated her first foray into the personal blogdominium with her new site Butter and Lightning. I’m excited. She’s my kind of thinker, with a wicked sense of the absurd while still keeping her heart wide open. It all makes for the best kind of reportage—full bodied and rich. 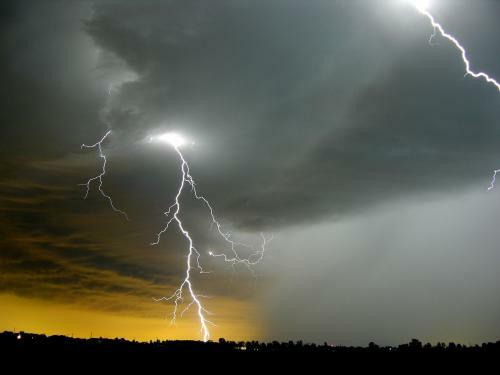 My butter and lightning originates in a remarkable piece of writing, a speech in the form of a prose poem, by Spanish poet García Lorca, Theory and Play of the Duende. If you know the speech, you’ll probably be familiar with its best-known image, “But intelligence is often the enemy of poetry, because it limits too much, and it elevates the poet to a sharp-edged throne where he forgets that ants could eat him or that a great arsenic lobster could fall suddenly on his head . . . .” Lorca’s duende is a dark and mysterious power, an untranslatable force. We need it desperately, for in duende, with its “wings made of rusty knives,” we have the cure for bloodless, anesthetic art — art which deadens and numbs us. And duende admonishes us that we must never, ever forget that arsenic lobster. Destined to be a juicy ride. I have shared the poetry of Juan Ramon Jiménez here before (most recently on September 3), and recently I have been even more compelled by his work. 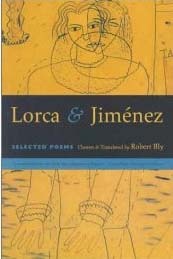 Poet Robert Bly’s volume, Lorca & Jiménez, brings together the works of these two extraordinary Spanish poets and offers a window into the creative context of Jiménez’ view of poetry. Neruda and Trakl take all their weight as men, and put that into their poems. Their love goes out as a form of occult energy into boulders, river barges, crumbling walls, dining rooms, women’s clothes. When they step back, they leave the energy there. Their poems lie there separate from them, massive, full of grief. To Jiménez writing a poem means something entirely different. For him a poem has ecstasy: that is the difference between poetry and prose. Living as a poet means feeling that ecstasy every day of your life, every hour if possible. A poem flies out of the poet like a spark. Whatever the poet writes down will be touched with ecstasy—the poem will therefore be light, not light in a sense of light verse that avoids seriousness, but light as a spark or as an angel is light. With one or two fewer words the poem would leap straight up into the sky. The heavy poems of Trakl lie brooding in alleys or on mountain tops, and when the reader walks up to them they hardly notice him: they feel too great a sorrow. Jiménez’s poems on the other hand are nervous and alert, and when we come near, they see us, they are more interested in us than in themselves—they try to show us the road back to the original ecstasy. The poems are signposts pointing the reader back to the poet, that is, back to the life from which the ecstasy came. We can understand the subject matter of Jiménez’ poems if we understand that it is in solitude a man’s emotions become very clear to him. Jiménez does not write of politics or religious doctrines, of the mistakes of others, not of his own troubles or even his own opinions, but only of solitude, and the strange experiences and the strange joy that come to a man in solitude. I found this passage deeply moving. 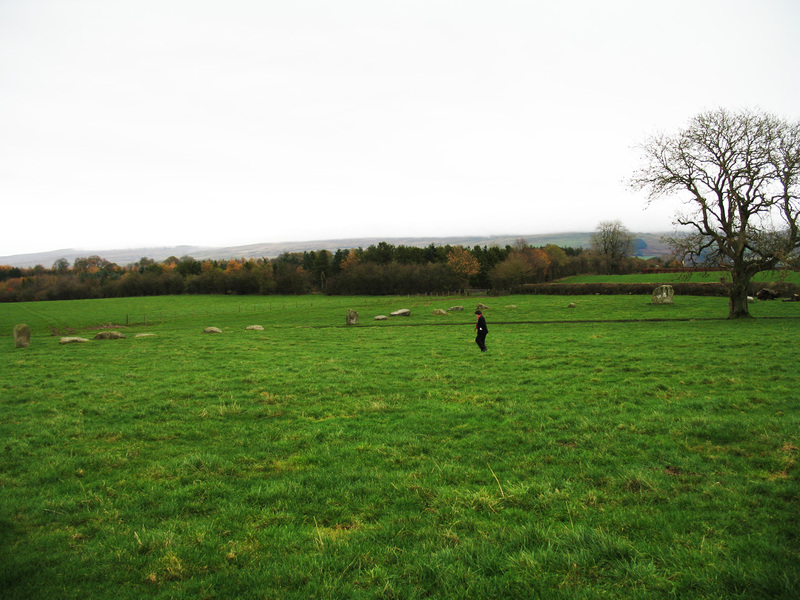 This is, after all, what I have wanted to achieve with my visual work. It is a strange joy, indeed. His love for his wife was one of the greatest devotions of his life and he wrote many of his poems for her. When he received the Nobel Prize in 1958, his wife was on her deathbed; he told reporters to go away, that he would not go to Stockholm, that his wife should have had the Nobel Prize, and that he was no longer interested. After his wife died, he did not write another poem and died a few months later, in the spring of 1958. Walking beside me whom I do not see. And at other times I forget.